From connected guns to wearables for canine units, the IoT is spurring change in the law enforcement field. The Internet of Things (IoT) is starting to make waves in law enforcement. From connected guns that remember exactly when and how they were fired to wearable smart devices designed for police dogs, the IoT is becoming a go-to solution not only to improve law enforcement officers’ capabilities, but also to increase accountability and public safety. Here are some examples of IoT products and services that are just beginning to have an impact on law enforcement. Smart guns are one of the most well-known breakthroughs for law enforcement, especially in the wake of the fatal police shooting of Ferguson, Missouri, teenager Michael Brown in August. A startup called Yardarm Technologies has attracted a lot of attention lately. Its smart gun concept is equipped with an accelerometer, gyroscope, wireless GSM, and Bluetooth low energy to monitor and record data every time it is discharged. A handgun equipped with the Yardarm sensor, highlighted in green at the rear of the grip. The technology appeals both to officer safety and transparency when officers use their weapons. The sensor and location features keep track of the gun’s position and exact timing when shots were fired, helping to remove some of the mystery when police use their weapons, and can also send automatic alerts notifying dispatchers and other officers exactly when and where to provide backup. The data gathered is encrypted and sent to Yardarm’s cloud before it is processed by the police departments’ customized software, which departments can design for their own specific uses. Police departments in Santa Cruz, California, and Carrollton, Texas, have already begun testing the technology, and Yardarm plans to launch officially in early 2015. Yardarm’s system still remains controversial, as police who have used basically the same firearms for a century will be skeptical to rely on a new, relatively untested technology, especially for their most important piece of equipment. 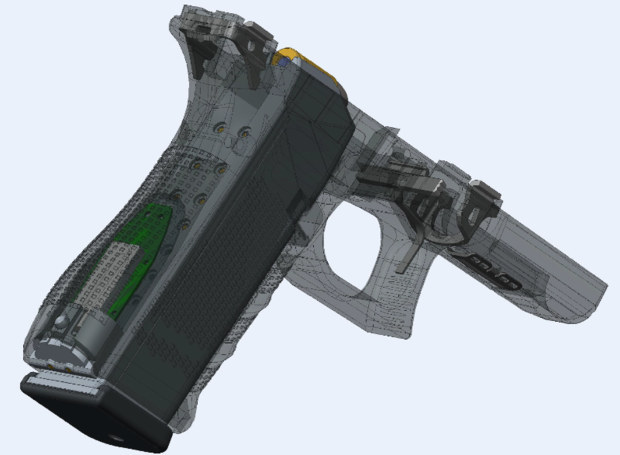 Yardarm’s internet-connected gun also joins several other smart gun breakthroughs, such as guns equipped with biometric fingerprint sensors on their triggers or RFID chips paired with smart bracelets to ensure the gun can only be fired by the officer to whom it was assigned. All of these technologies carry the potential to transform the most dangerous and controversial aspect of law enforcement, and even though they all face resistance, they're sure to have some kind of impact eventually. 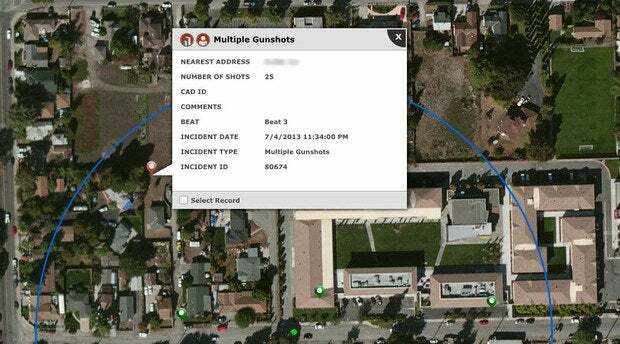 A system called ShotSpotter recognizes when gun shots are fired in public and helps police identify where the gun that fired them might be located. Developed by a company called SST, the system relies on connected microphones installed throughout a city, town, or college campus. The microphones can cover up to 10 square miles, and are designed to measure the range of "sounds which are explosive in nature," according to the company website. The microphones send the data recorded when they hear a gunshot to a police departments' computer, which measures the time it took for the sound to reach the microphone to estimate the location of the gun. A screenshot of ShotSpotter reporting a gunshot. Although ShotSpotter is currently limited to identifying outdoor gunfire, the company is currently developing technology to recognize the muffled sound of a gun discharged inside a home or building, according to a CNET report. For police, this technology means dispatchers won't be limited only to reports of shootings from witnesses – which may be inaccurate or might not come at all – and could help officers pin down the location of an active shooter more quickly. The technology has the potential to spur long-term change, mapping areas where gunfire is common. An example of a map of gunshots recorded by ShotSpotter. The technology has already been deployed in several major cities, including Oakland, California; Milwaukee, Wisconsin; and South Bend, Indiana. Oakland mayor Jean Quan said in April that the city had seen the largest drop in homicides among all major cities in the U.S. in 2013, due in part to the city's ShotSpotter deployment. Some agencies, including the New York Police Department, have begun testing Google Glass to see if it can be useful for law enforcement. And although Google has expressly forbidden the use of Glass for facial recognition technology, which would allow wearers to conduct quick background searches on the people around them based only on a photo of their face, reports emerged last month claiming that the Dubai police force is issuing Glass units to officers to work with its own custom-developed facial recognition software. For those who think Glass, which is delicate and expensive at $1,500 per unit, might not be a good fit for law enforcement, Motorola has developed the Robocop-esque HC1 Headset Computer. 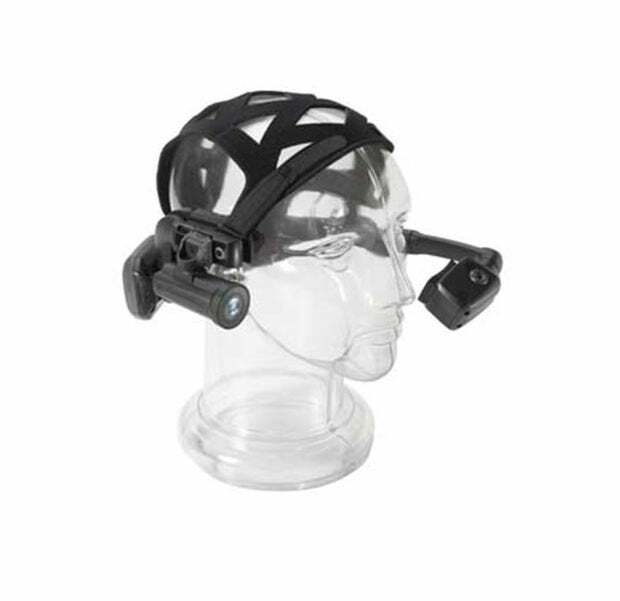 The device is equipped with a noise-cancelling microphone and ear bud system, allowing those working in large crowds or other noisy environments to communicate clearly. The micro display is adjustable for when users might need full vision of the area around them, and responds to voice commands to launch documents or applications. Body-worn cameras, some of which send video directly to a cloud database where it can’t be altered, appear to be on the verge of becoming mandatory nationwide. Police in Ferguson, Missouri, have reportedly begun wearing cameras in the field, and a White House petition calling for a "Michael Brown law" that would mandate police at all levels to wear cameras has more than 157,000 signatures. And while smart bracelets and even smart clothing technology promise to monitor officers’ vital signs and alert dispatchers to any sign of trouble, some companies have also developed smart wearables for canine units. Blueforce Development and embedded animal telemetry sensor company DSI partnered to create a system combining a chip implanted in dogs' bodies and a receiver attached to the standard protective vests police K9 units wear that monitors body temperature. If a K9 unit is left in the squad car and its body temperature climbs too high, the device sends a notification to officers' smartphones. The Pennsylvania K9 Assistance Foundation also says that some similar systems can automatically open windows on the car and activate a fan to cool down the dog, which could be useful in the event that officers can't make it back to the vehicle in time. If police departments are going to start investing in all of these different kinds of tools, they'll want to ensure they're working correctly and are fully capable. Cisco, for example, explained in a blog post last year how it turned to open standards-based solutions for interoperability and collaboration to resolve network issues for radio and LTE communications in two separate cases. Similarly, a joint project between Harris Corporation, Havis, and Lectronix brought a concept car equipped with an in-car LTE mobile router to the 2014 International Association of Chiefs of Police conference last month. The car also featured Harris's BeOn application platform for public safety applications. Those networks and platforms were developed mainly to support communications tools and applications, like radios or smartphones, but as law enforcement agencies increasingly incorporate equipment and tools that are connected to the internet, the networks and platforms they rely on will become more important. Colin Neagle writes about emerging technologies and the internet, among other things, and also manages Network World's blogs.